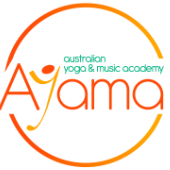 Yoga classes offered at the Australian Yoga and Music Academy are suitable for students of all ages and levels. Anna teaches a flowing hatha yoga class which is influenced by the dynamic ashtanga and vinyasa yoga styles. Classes are adapted according to the time of the day and the energy and experience of the students. Through careful attention to alignment and safe movement patterns, students are encouraged to cultivate an awareness of the inner workings of their physical yoga practice. Each class aims to create an environment where even the most dynamic and challenging physical practice is experienced as a moving meditation. All classes are held at the AYAMA studio. Bookings are essential as places are limited to 8 people. 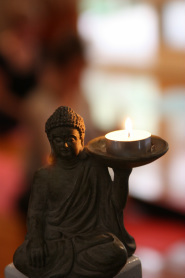 Please sign up to our mailing list to receive regular updates and information on yoga classes. "Yoga is a technology for arriving in this present moment. It is a means of waking up from our spiritual amnesia, so that we can remember all that we already know. It is a way of remembering our true nature, which is essentially joyful and peaceful... As you establish and sustain this intimate connection, this state of equanimity becomes the core of your experience rather than the rare exception."